Last June, Apple announced that it would add support for external GPUs to macOS. And now, just under a year later, official support has arrived. 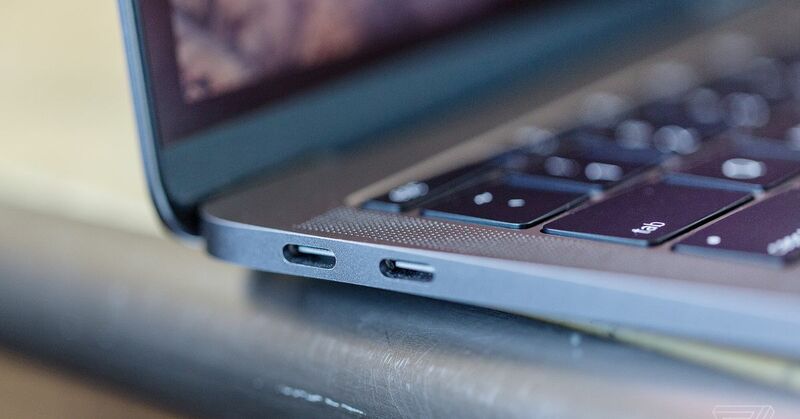 With the latest update to macOS High Sierra, you’ll be able to connect a number of different graphics cards to the Mac through a Thunderbolt 3 port and use that additional power to speed up demanding processes, including games and video editing. Apple has specifically highlighted its use for VR. This probably shouldn’t surprise anyone since it’s Apple we’re talking about here, but there are a number of limitations around what you can do with external GPUs. For one, only select models are officially supported. And, surprise, Apple is only supporting some of AMD’s Radeon cards, which it already includes in select Macs. That doesn’t strictly mean a GeForce card won’t work — people have gotten some to work while the feature was in beta — but it means you’re gambling a bit around whether it’ll continue to work. You also won’t be able to use external GPUs on Windows through Boot Camp. And just because you have an external GPU plugged into your computer when it’s running macOS doesn’t mean it’s going to be doing anything, either; developers have to enable support for it. Finally, you’ll also need to have a new enough Mac, since external GPUs rely on the super-fast speeds provided by Thunderbolt 3. That includes 2016 and 2017 MacBook Pros, 2017 iMacs, and the iMac Pro. Still, if you have a newer machine and are using apps that support it, this is a great feature addition and honestly kind of a surprising one from Apple, since external GPUs have really been popularized through the gaming community, which is nonexistent on the Mac. One of the big benefits of including Thunderbolt 3 ports is allowing this kind of powerful flexibility. And now, for those who are willing to spend several hundred extra dollars, they can get an even more capable computer than what they bought; that could be particularly useful for people with MacBook Pros who want a lighter package on the go and more power when they plug in at home or the office. Because George Lucas modeled the original 1977 Star Wars on classic movie serials like 1936’s Flash Gordon, the films that followed in the series have followed the pattern, and relied on similarly chapter-based quest plots. Big missions, like the attempt to blow up the second Death Star in Return of the Jedi, get broken down into smaller sub-missions, each of which keeps teetering on the brink of failure, necessitating yet another risky scheme. It’s a hooky way to tell a story — one cliffhanger at a time. One of the main narrative threads in Rian Johnson’s Star Wars: The Last Jedi follows that same blueprint… at first. Then Johnson throws in a twist, which severely divided fans when the movie first came out in December 2017. When the heroes of the Resistance realize that the First Order has been tracking their fleet, they seek the services of a master codebreaker in the high-end gambling resort of Canto Bight, to disable the beacon. Ex-stormtrooper Finn (John Boyega) and mechanic Rose (Kelly Marie Tran) slip into the city, but quickly get arrested. 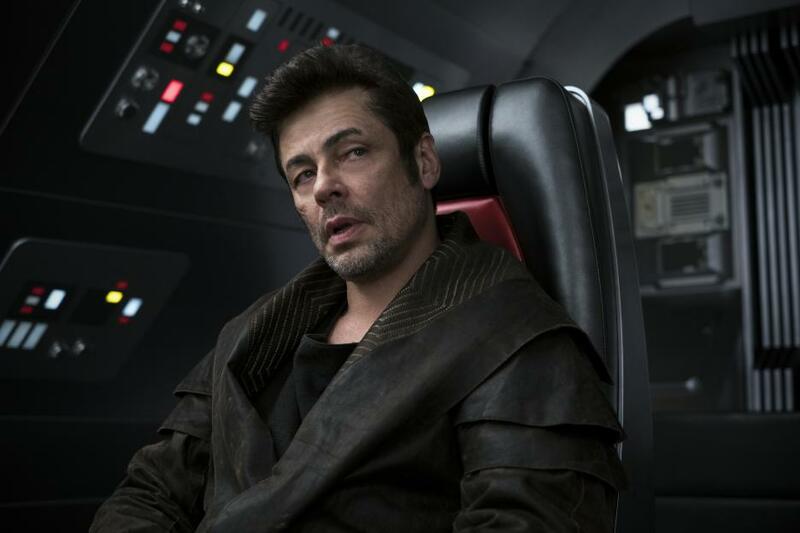 In jail, they meet a wily thief named DJ (Benicio Del Toro), who helps them escape, then later breaks them into a First Order stronghold. But DJ proves untrustworthy. Though he gets Finn and Rose where they want to go, he also sells them out, revealing the Resistance’s secret plans and getting a lot of people killed. Star Wars missions often go awry, but this one goes disastrously wrong, having pretty much the exact opposite effect of what was intended. This big switcheroo irritated a sizable number of viewers. Critic Alyssa Rosenbergsummed up the complaints in a Washington Post article, writing that DJ’s betrayal “renders the entire plot we’ve seen pointless,” and that the entire Canto Bight sequence is a “disgracefully bad bit of storytelling.” At ScreenRant, Matthew Erao describes the whole subplot as “roundabout” and “moot,” and complains that an action setpiece where Finn and Rose ride around on the city’s prized racing animals, the fathiers, “leads nowhere.” But the film’s March 27th release on DVD and Blu-ray offers a chance to carefully reconsider these scenes, and their significance in the story. In Johnson’s DVD / Blu-ray commentary track (recorded before The Last Jedi was released), his only real justification for the DJ twist is that he did it to defy expectations, and reaffirm that his movie wasn’t going to hit the old Star Wars beats in the same way. Referring to the franchise’s rogues, Johnson says, “We’ve always been conditioned to see them come around.” His DJ, on the other hand, is a knavish Han Solo type without a mitigating heroic streak. He’s an amoral crook who suggests there’s no real good or bad side in Star Wars’ endless interplanetary conflicts. “It’s all a machine, partner,” he shrugs. Does DJ’s cynical attitude — which is also arguably Johnson’s argument — ruin the movie? Certainly not in terms of box office. The Last Jedi made well over a billion dollars internationally, and has a 91 score on Rotten Tomatoes, an 85 Metacritic score, and an “A” CinemaScore. But a very vocal contingent of Star Wars devotees strongly dislike the movie, blasting everything from Johnson’s apparent bias toward the female characters to the grim fate and dark backstory of the series’ iconic hero, Luke Skywalker. In Vanity Fair last year, Joanna Robinson succinctly summed up a lot of the backlash, from the reasonable to the reactionary. 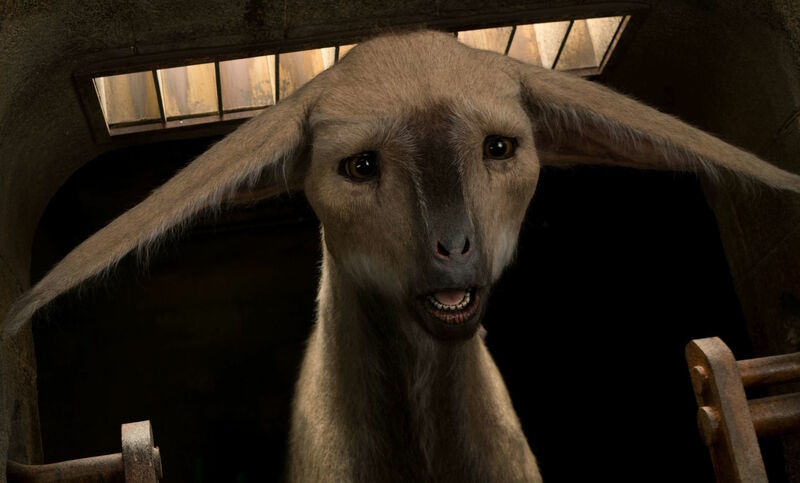 Whether longtime fans like Johnson’s choices or not, though, it’s been odd to see the Canto Bight subplot dismissed as a waste of time, when it’s so clearly central to the film’s fundamental themes. Prior to The Last Jedi’s release, former Jim Henson’s Creature Shop designer Neal Scanlon told Syfy Wire that the look of Canto Bight is important, because it expands Star Wars’ design sensibility into an entirely new area. Previous Star Wars films have largely dealt with down-and-out characters scraping by in junkyards and slums, but Canto Bight is a haven for the decadent super-rich, who’ve been largely untouched by what’s happening with the First Order and the Resistance — aside from taking money from both. This has always been an element of the movie series: the idea that the everyday lives of farmers, slavers, gangsters, and mining magnates continue while wars are being waged elsewhere. The Last Jedi makes this point explicitly, suggesting that the fight for freedom and democracy is voluntary, and not something that’s dragged in every citizen across the universe. That’s highly relevant to The Last Jedi’s coda, which again deviates from what the series has done before. After a fairly conventional Star Wars shot of the battle-scarred heroes regrouping on the main deck of the Millennium Falcon — the kind of image that would ordinarily lead directly to John Williams’ rousing exit theme — Johnson cuts back to Canto Bight, where the impoverished, oppressed stable boys and girls are already sharing the legend of how Luke Skywalker returned to the fray to stall the First Order and buy his friends time to escape. Earlier, these same kids witnessed Finn and Rose wrecking the casino, challenging authority, and freeing the fathiers. They actually helped the two Resistance members get away, and were left with Rose’s ring as a memento. The message: what the Resistance is doing matters. It’s inspiring and important, and it’s leading to change in unexpected places. Much has been said (bitterly, at times) about how The Last Jedi appears to insist that everything past generations loved about Star Wars has to die. But that’s not where the movie ultimately lands. Instead, what the audience sees for two and a half hours is scene after scene where even the moments of triumph are accompanied by heavy losses and destruction, until all that’s left are a handful of people and an ideal. And as Luke Skywalker himself points out when he’s training Rey, this ideal — a conception of a balance and equality in all things — shouldn’t belong just to an elite few. That’s “vanity,” Luke says. On a very basic storytelling level, the Canto Bight sequences fulfill a purpose common to Star Wars: they give a few characters a task and a little time to build their relationship through shared danger. That gives the movie another storyline to cut to, in order to keep the pace brisk and the tension maximized. It produces another action sequence, and a sense of a larger universe full of busy, diverse activity and threats. There’s a big chase scene (rendered in a style similar to the other films’ adrenalized setpieces), some funky-looking alien creatures, and even a bit of slapstick. Some viewers were turned off by all of the above, regardless of how it works into the story, or whether the heroes accomplished anything meaningful. Which is fine. Not everyone laughs at the same jokes, or is thrilled by the same action. But Finn and Rose’s mission also serves a thematic purpose. No matter what they set out to do, what they actually accomplish is to give the downtrodden hope, and a reason to one day join their cause. That’s part of the grand Jedi tradition, to win by losing. Finn and Rose fail at their gambit, and nearly lose their lives in the process. But Obi-Wan Kenobi proved all the way back in 1977 that losses for the Jedi are only temporary. “If you strike me down,” he tells Darth Vader, “I shall become more powerful than you could possibly imagine.” The Resistance goes the same way. Their failures on Canto Bight may have far-reaching ramifications. They lose a battle, but they stand to win the ultimate war. Twitter's sports offerings have grown quite a bit over the last couple of years. Between game coverage, 24/7 streams and analysis shows, Twitter keeps expanding its sports content, and this weekend, Variety reports, it's adding March Madness Watch Parties to its slate. In partnership with Turner Sports, CBS Sports and the NCAA, Twitter will host a "live social-viewing experience" during both Men's Final Four games this weekend as well as the National Championship game on Monday. The Watch Parties will consist of analyst commentary, highlights and even some special guests. On board for these parties are analysts Brendan Haywood, Candace Parker and Andy Katz as well as reporters Allie LaForce and Dana Jacobson. Video will be of them reacting to the games while tweets related to March Madness will appear below. The first Watch Party will begin on Saturday, March 31st at 6PM Eastern, when Michigan and Loyola Chicago go head to head. The Watch Party will continue during the Kansas/Villanova game Saturday night and during the final game on Monday. You can join the Watch Party here and through the NCAA's @marchmadness Twitter account. We’ve got a bunch of tech luminaries on The Vergecast this week to help us understand the week in tech news. Nilay, Dieter, and Paul welcome Lauren Goode back to the show for her last week at The Verge to discuss the new iPads that Apple released this past Tuesday. Lauren and Dieter went to Chicago for the event, so they share their experience and insight on the new products and their relationship with the education field. After that, the crew bring in senior reporter Russell Brandom to help us understand how Europe’s new privacy rule is reshaping the internet. And finally, senior editor Tom Warren returns to the show to share his expertise with Microsoft and break down Microsoft’s announcement of the reorganization of their company. There’s a whole lot more in between all of that — like Paul’s weekly segment “The little robot that could” — so listen to it all and you’ll get it all. 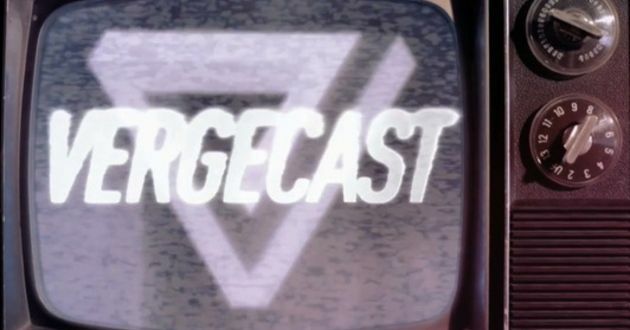 If you enjoyed this podcast and want to hear more audio from The Verge, well you’re in luck. Season 2 of Why’d You Push That Button hosted by Kaitlyn Tiffany and Ashley Carman is here! This week’s episode is about Facebook event invites. You can subscribe anywhere, including on Apple Podcasts, Spotify, Google Play Music, and our RSS feed. And get caught up on season 1 if you missed out. Also! You can check out Lauren Goode’s podcast Too Embarrassed to Ask. Apple assembly partner Hon Hai -- better known as Foxconn -- has posted net income of $2.5 billion for the December quarter, reportedly linked to strong orders and consequent sales of the iPhone X. The new Jaguar I-Pace is quick from a stop. It’s quiet as a mouse. The ride is comfortable throughout, from the cushy seat, to the air suspension, to the smooth, low resistance in the wheel. The I-Pace is also shorter than you probably think it is; up close, it looks like an SUV that’s been (carefully) stepped on. Other than that, there’s not much more I can tell you about what the I-Pace is really like, since I only had about one minute to drive it. That drive took place on the eve of the New York International Auto Show in a parking lot behind Jaguar Land Rover’s new Mawah, New Jersey headquarters. The stark, sharp building is surrounded by fresh dirt that’s roped off on the outside, and gleaming white paint on the inside. It stands shoulder to shoulder with the corporate headquarters of discount store Amazing Savings, and both buildings are tucked into a carved-out piece of the land just off Route 17, a maybe five or ten minute walk from the New York border. JLR’s new digs feature a gym on the first floor, EV charging stations (with some still being installed), an open floor plan, and — to the apparent delight of the employees in attendance, based on their hoots of approval when it was called out during the night’s big event — coffee stations on each floor with fresh-grown beans that have been locally sourced. Those employees, along with Jaguar Land Rover dealers and executives from around the globe, sipped wine, picked at tiny chicken-and-waffle hors d’oeuvres, and clutched signed portraits of Olympic ice hockey champion Meghan Duggan on Tuesday night in the dressed-up cafeteria. JLR had gathered the group to show off the I-Pace, as well as the new Land Rover SV Coupe. But also, we were there to see the F-Pace SVR, a wagon-y crossover SUV with more horsepower than the base Porsche 911 Turbo. The event was a christening of sorts for the new home, which JLR chose after toying with leaving the state. I was there for the I-Pace, though. The all-electric SUV is making its stateside debut at the auto show, and it’s brought a wave of buzz with it across the Atlantic. That’s for good reason, too. The car is powerful (dual electric motors developed by Jaguar give it just about 400 horsepower), it boasts an admirable range (240 miles in the EPA cycle, the company claims), and is being offered to customers at a $69,500 price tag that’s $10,000 cheaper than the most affordable Tesla Model X. Thousands of chiclet keys will surely shatter under the weight of automotive journalists’ fingers as they compare the I-Pace to the Model X for the rest of time immemorial — or, at least until a few more premium electric SUVs hit the market. I certainly didn’t have enough time to form a definitive opinion on how the I-Pace might be better, or where it falters in comparison. At first glance, the materials in the I-Pace didn’t seem as premium as you’ll find in a Model X. (The amount of plastic involved seems to point to one area where Jaguar might have saved some of that ten grand.) The dual-touchscreen setup, which is an iteration of what’s found in the Velar, is sharp, but seemed to stutter a bit. Otherwise, the I-Pace mostly felt and looked like a premium SUV. And it drove like one, too, at least in the rodeo pen of fences that Jaguar laid out for the drive. I and others drove the I-Pace through something that resembled, but wasn’t quite, an autocross course — think “gates” of cones on pavement. But these were “smart cones,” which lit up in sequence and worked with sensors and antennas in each I-Pace to track the accuracy and speed of each car’s run through the course. That meant each run followed a different path, which in turn meant that it wasn’t possible to run the same course a number of times to get a comparative feel for how the car handled in the same sharp or sweeping turns, hard braking zones, or long stretches of acceleration. Last fall, I got to drive the decidedly less premium Chevy Bolt in an autocross event in the flat suburbs of Detroit. I was surprised by how much fun it was to whip the Bolt around a parking lot, since it doesn’t have a jaw-dropping 0–60 time or a wild horsepower rating. Having a third or so of a car’s weight on the floor thanks to the battery layout certainly helped. But the Bolt’s upper body also flexed a bit with every turn, and the smaller tires were torn to shreds after an hour of constant punishment. It’s not a car that’s built for performance, and while it performed admirably, that showed. The I-Pace was far more comfortable on the attack, which shouldn’t be a surprise. It has a more advanced suspension, borrowed from the F-Type, and massive 22-inch Pirelli tires to paw at the tarmac. It’s shorter by 1.5 inches than the Bolt, and wider by half a foot, giving it an even lower stance that helps make sure there is no flex in its aluminum body. Again, my time was brief, but it’s easy to see why there’s going to be an entire racing series built around this car. There were some other things I gleaned about the I-Pace from my time at Jaguar’s new American home. It has a traditional grille, in part because the company is still growing its presence in the US, and the grille is one of the more recognizable aspects of a Jaguar these days. But the grille is also not just for looks. Air flows through it to cool the batteries, and feeds the air conditioning system. Some air also splits up to the top of the grille and goes through a scoop in the hood, to help reduce drag. The back end is abruptly squared off to help with aerodynamics, too. 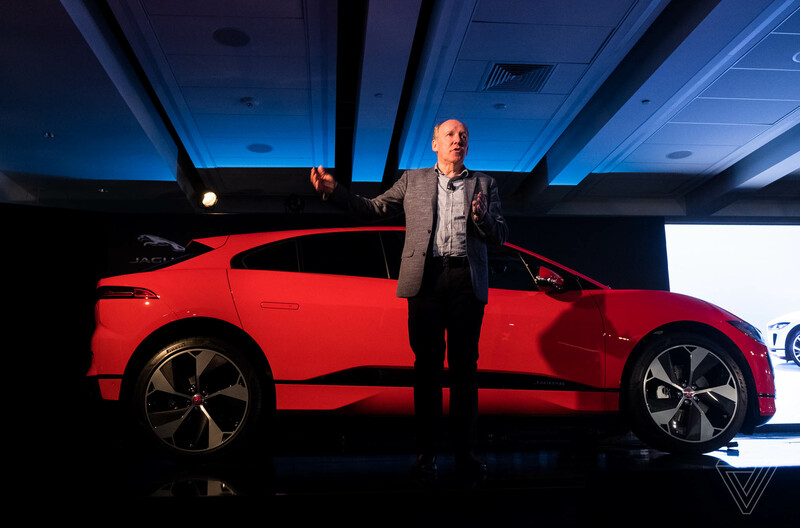 JLR design head Ian Callum explains some features of the I-Pace. The deciding factors for EV adoption still seem to revolve around range and charging support, so while this is all well and good, Jaguar faces the same kind of uphill battle as any manufacturer of battery-powered cars. But while the I-Pace still won’t go on sale until later this year (employees on-site kept joking all day that the actual sale date keeps changing at a dizzying rate), Jaguar already has a customer for 20,000 of them: Waymo. On the morning of Jaguar’s big event, it was announced that the company born out of the former Google self-driving car project in 2016 and the one with decades of history as a brand known for luxury and performance are collaborating to build up to 20,000 self-driving I-Paces. That’s a pretty good start for a car that hasn’t hit the market yet. But Jaguar obviously still wants to sell its cars to people so they can be driven, at least for a while. When that happens, those people will probably be pleased with the experience. 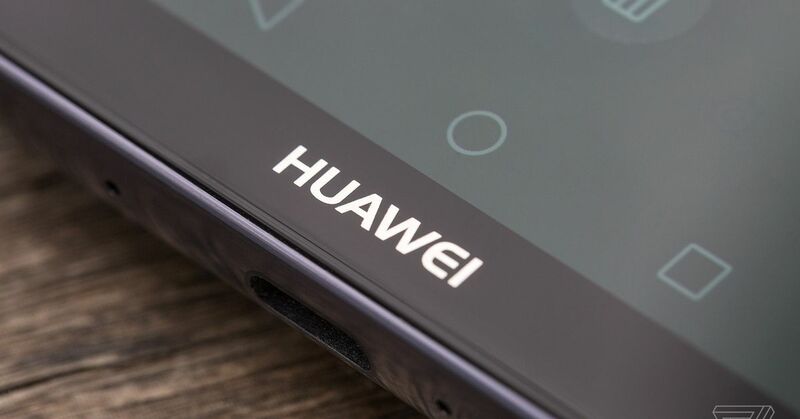 In an email to CNET, the CEO of Huawei’s consumer business group, Richard Yu, has said that the company isn’t pulling out of the US market, despite every major carrier refusing to sell its phones, and retailers like Best Buy recently dropping the brand. In January, Huawei planned to launch its new Mate 10 Pro flagship in the US through AT&T, but the carrier pulled out of the deal at the last minute, reportedly due to political pressure. Verizon soon followed suit. As far as retail support, Amazon continues to sell Huawei phones and devices (such as laptops and smartwatches), but Huawei recently lost Best Buy as a retail partner. While Best Buy hasn’t commented on why it stopped selling the devices, Huawei was caught asking people to write fake reviews for the Mate 10 Pro on Best Buy’s website in exchange for a chance to beta test the phone. Storing chips long-term isn’t exactly a priority for most of us, who tend to inhale the entire bag within a day or two. If, however, you get overly ambitious and buy the family size, you may find yourself with a sad, stale, half-full bag of chips within a week or two—that is, unless you seal ‘em up tight and stick them in the freezer. Yes, the freezer. Fans of this practice claim that it prevents opened chips from going stale for months at a time. Though food chemists aren’t entirely sure why this works, there’s plenty of anecdotal evidence that it does—for everything from tortilla chips to potato chips. I first tried this trick a few months ago, after I noticed that a friend kept tortilla chips in the freezer and they never went stale. Fascinated, I soon discovered other people enthusiastically recommending the practice on Reddit, Twitter, and the general blogosphere, so I decided to try it myself. I saw the same results. Maybe my chips will go stale someday, but I’m still waiting. Storing chips in the freezer makes some amount of intuitive sense—chips are supposed to be sealed and stored in a cool, dry place, and what location in your house is cooler or drier than your freezer? If you live in a particularly warm or humid climate, your freezer or refrigerator may be the only place in your house that’s cool or dry at all. Perhaps that’s why the trick works for me so well; as a New Orleans resident, I basically live in a swamp. And as with storing a bottle of vodka or gin in your freezer to keep cool, tossing a bag of chips in there won’t result in a fully-frozen product the next time you feel like indulging. 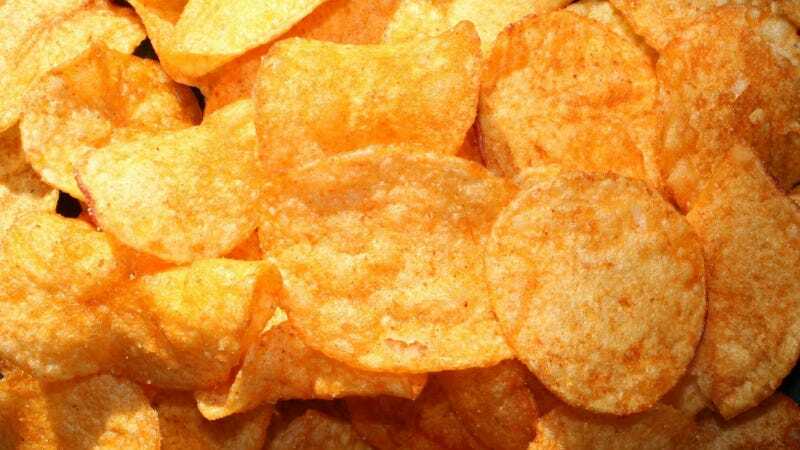 According to Bob Jones, the president of Jones’ Potato Chips, chips don’t freeze in the usual sense—they just get very cold. Jones says that most of the moisture content is cooked out of the potato, so there’s hardly any water left to freeze. “When you put [potato chips] in the freezer, the water content is very low and it probably just freezes the residual water,” adds Sally Mitchell of the American Chemical Society. Mitchell tells us that she and her colleagues theorized that freezing the tiny amount of water in the chips prevents the starch from retrograding, which is related to the staling process. The amount of frozen water is small enough that it doesn’t change the structure, taste, or nutritional content of the chip whatsoever, nor does it freeze the chip solid. Unless you seal them improperly, they’ll come out the same way that they went in. Make sure that they’re in the original packaging or in another airtight container, like a Ziploc bag. The less air that reaches the chips, the better. You can eat the chips straight from the freezer or set them on the counter for a few minutes to bring them to room temperature. Some people actually love the taste of cold chips, but that’s largely up to personal preference. This is one of those bizarre, mysterious tricks that doesn’t seem like it should work as well as it does—until you try it. Them dead zones feel alive again. This TP-Link AC750 Dual Band Wi-Fi Range Extender is down to $18.99 on Amazon. It normally sells for $30, and this price is a match for the lowest we've seen. This is a one-day only deal as part of Amazon's Gold Box sale on TP-Link gear. Make sure you don't have any dead zones in your house with this simple range extender. It can help you get that signal to the lamp in the corner you want to add a smart bulb to, for example. It will work with most routers and gateways with dual-band speeds up to 750 Mbps. The smart signal indicator shows you the best location for optimal coverage. After initial setup, it can be moved to any outlet. TP-Link backs it up with a two-year warranty. 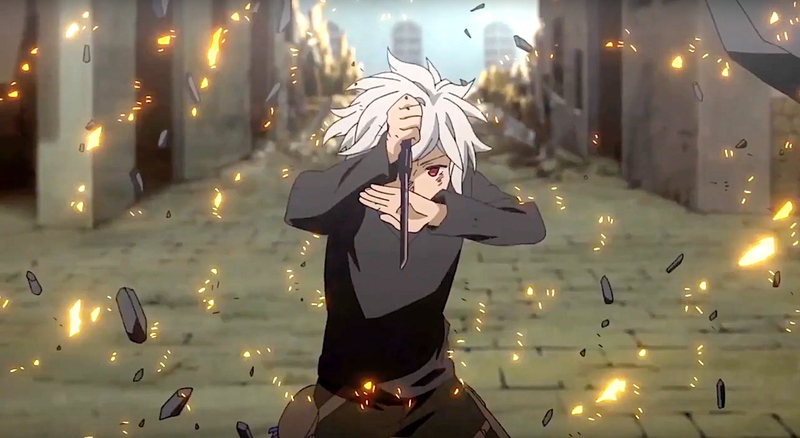 Anime streaming network CrunchyRoll is making a video game based on the Is It Wrong to Try to Pick Up Girls in a Dungeon? series. The free-to-play Memoria Freese/Dan-Memo is available for both Android and iOS and will feature in-app purchases and an original storyline from the show's first season. Series creator Fujino Omori is handling writing duties, with Yoshitsugu Matsuoka, Inori Minase, Saori Ōnishi and others lending their talents to the voice cast. And don't worry about dubs here: CrunchyRoll promises there will be Japanese voices with English subtitles. As far as gameplay goes, it looks like a 2D dungeon-crawler RPG with turn-based battles, little kids with gigantic swords and gorgeous animated cutscenes. This marks the first time the streaming network has made a game, splitting production duties with Japan's social network platform, Gree. For anime fans, it looks like the Easter Bunny might've arrived a little early.